This series will guide you through the process of using TDD (Test Driven Development) in your own projects and will consist of three articles. This first article will explain what TDD is, the positives and negatives of TDD, and finally TDD in conjunction with Laravel. The second article will take you through the process of creating your first test which will be classed as user-interface testing. This type of test will ensure the correct things are displayed on the page and that the page redirects successfully after performing certain functionality. TDD (Test Driven Development) is the term for a methodology which requires the programmer to write tests for their code before they even begin to write any actual code. Therefore the tests you write will always fail first time round; it is then your job to write code to make the test pass. Finally refactor the code if necessary. Write down all the possible scenarios for the current piece of functionality you are about to create. This includes all possible inputs, outputs and errors. Create a test for your first scenario and run the test which will obviously fail as you have not written any code yet. You will then use this failed test as an aim to create the required code to make this current test pass. Writing tests first gets you to really consider what it is you want from your code and also makes you think about every possible scenario that the user may choose. Therefore in theory your code should work no matter what the user throws at it. The only disadvantage I could think of for TDD is that it is hard to learn and get your head around the process of testing before coding anything. This can reduce your productivity up to four months after starting to use TDD. This may not be too much of an issue in a bigger company, however smaller companies with lots of deadlines may struggle initially implementing TDD. 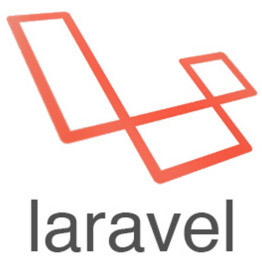 Laravel makes using TDD much easier. A package called PHPUnit can easily be added to your project via the composer.json file which allows you to write automated tests. We will learn how to install PHPUnit in the next tutorial in this series. This article has explained the basics of Test Driven-Development, its advantages, disadvantages, and how we can use PHPUnit to write automated tests in your Laravel Projects. Next time, we will install PHPUnit in Laravel and write our very first test.